This is my second post today; please scroll down for The Play Date Cafe post. 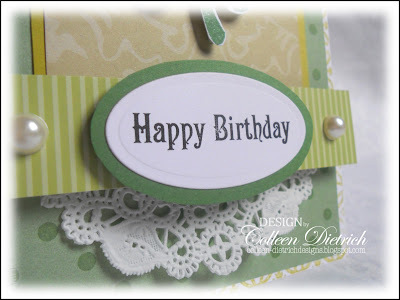 I share my birthday (St. Patrick's Day, March 17th) with a stamping buddy named Heather. I made a very green card for her and need to pop it in the mail so it might reach her in time (she lives in another country). Luckily (get it? ), this happens to fit a challenge I just discovered called DYSU. 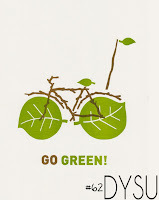 Their current challenge: 'Go Green'. 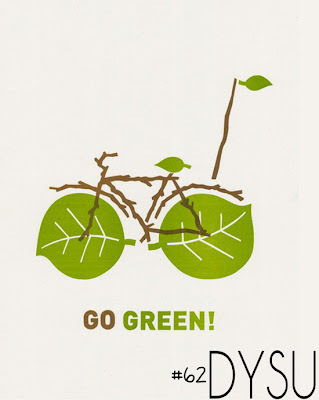 It could be that you've upcycled/recycled something, or used green stuff on your creation. 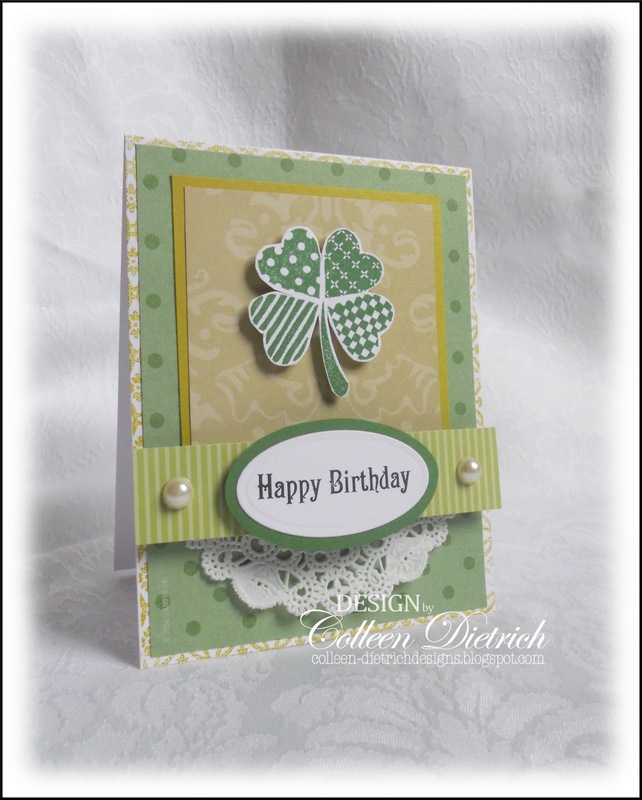 The shamrock was created with new-to-me Close To My Heart stamps, So Lucky. My friend recently gave the set to me, and I love it! You can make the cutest shamrocks with it. Thanks for your sweet comments and visits; big hugs to you all! This is fabulous! I like the touch of doily! Such a cute card.. This card would be perfect for my niece she was born on St Patrick's day..
An early Happy Birthday, Colleen -- I share the same birth date, though I'm sure mine came first. :-D I remember now discovering last year that we celebrate our birthdays on the same wonderful Irish holiday but had forgotten that. In any case, love the card and aren't we March people special? :-D Hugz. Loving the different patterns on the shamrock leaves and the touch of doily peeking out. Can't believe I know three people with the same birthday!! Better get to the post office and get the cards sent! Of course I love your card! That reminds me I gotta get busy and make mine too. It is creeping up way too fast! All your posts are just wearing me out. Henry, the basset, has been invited to join the hound rescue league "waddle" and dress up in green for the St.Patrick's Day parade in Des Moines. I don't think we will participate. I need to share some of their photos of previous wearin' of de green waddle they have done. Happy birthday to us early! This is gorgeous Colleen! 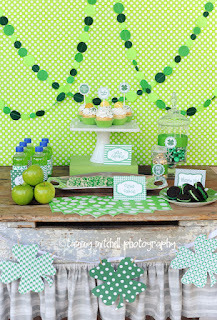 I love the mix of papers and that fab shamrock! Such a sweet birthday card! I love that shamrock! That's the prettiest shamrock, Colleen! How fun to know someone that you share a birthday with. Such a gorgeous card! Thanks for playing at Inspired By! You have one cool birthday my friend! You have made a very sweet card for your friend Roth a shared birthday! Hope you both have a special and wonderful day! I love that shamrock...so fun! This is a super duper St. Patrick's Day card and your friend is sure to love it. Beautiful layout and colour choices! Beautiful card, very elegant. Thanks for joining us at Do You Stack Up. Beautiful card, Colleen, I love your design! Thanks for joining us at the Papercraft Star lucky challenge! So pretty, Col! Great design, and I LOVE all the patterns in your little shamrock! Thanks so much for playing along with us this week at Papercraft Star! heather will be over the moon when she receives this precious gem. It's the kind of card that deserves te be framed; gorgeous! Very pretty design and those different patterned shamrocks are fantastic! Thanks so much for joining us this week at Papercraft Star! Terrific card! Love the shamrock you created! Thanks for joining us at DYSU. So cute! Heather will love this--I know I do :). Your sweet shamrock is just adorable! Congratulations on your Inspired By win, Colleen! Gorgeous card.